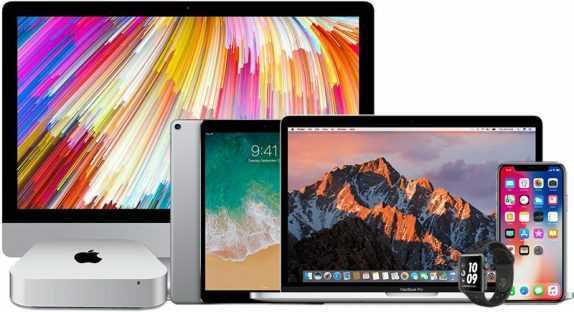 Ming-Chi Kuo of TF International Securities is back with yet another new investor’s note and this time according to the analyst, Apple is said to be working on launching 11-inch iPad Pro, refreshed Mac mini, Apple watch with large display, Airpower in fall. The newly updated portfolio will join the three iPhone models; 5.8″ OLED model, a new 6.5″ OLED model, and a new 6.1″ LCD variant. The updated iPad Pro model will come with Face ID, no home button and Apple seems to be working on two variants; one with 11 and 12.9-inch displays with a full-screen design similar to the iPhone X. Though Kuo didn’t say much about the Mac mini update, he said that there will be a processor upgrade and this is coming three and a half years since the last Mac mini update. It is also unclear if the Mac mini would see a design change. Both the MacBook and MacBook Pro will see processor upgrades and it is already known that Apple is working on a new low-priced notebook. However, unlike the previous rumors, the low-cost Notebook might not be from the MacBook Air series, instead, rumors have suggested this machine could be a 12-inch MacBook. Apple seems to be planning to expand the MacBook lineup with an additional low-cost option to replace the MacBook Air. As for the Apple Watch, the company is said to be working on two new Apple Watch models for 2018 with bigger displays and improved heart rate detection features. One of the two Watch models will measure a 1.57 inches (39.9mm) and another with 1.78 inches (45.2mm), roughly 15% bigger than in the current models. However, it is clear if the Watch itself will be larger or the display will be bigger with the reduction in bezels. The most anticipated AirPods and the AirPower will go into mass production in the third quarter of 2018 with the late fall launch which again falls in line with the earlier reports. Though we don’t have the timeline, Apple could launch the products at its September hardware event.